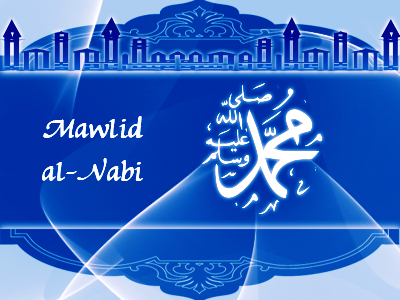 During the blessed month of Rabīʻ al-Awwal, the whole Muslim nation celebrates the blessed birth of the Master of All Prophets ṣallAllāhu ʻalayhi waSallam. However, there are a few extremist sects that oppose this noble tradition of Muslims and follow the Wahhabi creed. In fact, they oppose every tradition that is related to the dignity of the Best of Creation and his noble household [Ahl al-Bayt]. 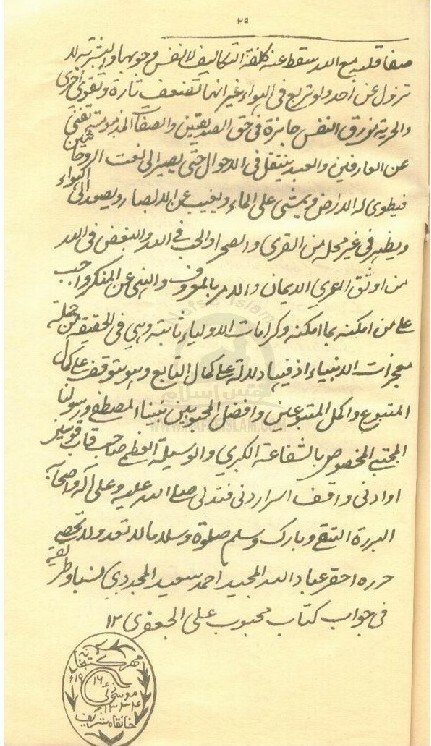 Some ignorant people have spread this false propaganda that the great saint of the Naqshbandī order, Imām-i Rabbānī, Mujaddid Alf-i Sānī, Shaykh Ahmad Sirhindī Fārūqī raḍiyAllāhu ʻanhu had stopped his followers from celebrating the noble tradition of Mawlid. They use some words from the Maktūbāt out of context and try to prove that the Great Mujaddid opposed Mawlid. However, this is either mere ignorance or a deliberate act of false propaganda. The first person who started this accusation was probably Mīr Mahbūb ʻAlī Jaʻfarī, a companion and follower of Maulawī Ismāʻīl Dahlawī. He wrote a book in which he not only claimed Mawlid to be a wrong and evil innovation, he also tried to prove this from the Maktūbāt. However, the great Naqshbandī master Shāh Ahmad Saʻīd Mujaddidī refuted his false accusations and proved from the Maktūbāt that Imām-i Rabbānī had allowed this blessed tradition in which Muslims show their love and devotion to the Best of Prophets ʻalayhi as-salām. Furthermore, you had asked about Mawlid recitation that, what is the problem in reciting the Noble Qurʼān with beautiful voice and (reciting) Naat and Manqabat? (The answer is:) what is forbidden is the distortion in the letters of the Qurʼān, and their alteration and variation (from the correct pronunciation), and observing the forms of melody, and considering tune to be necessary (in reciting the Qurʼān), and changing the voice on such patterns, and clapping hands which is unjustifiable even in (singing) poetry, and such. But if there is no alternation in the (correct recitation of) Quranic words, and if the Qasīda recitations also do not observe the above-mentioned prohibitions, and it is prescribed with the right intent, then what is the hindrance? The above passage clearly indicates that the Great Mujaddid was stopping his followers from attending certain Mawlid sessions in which Qurʼān recitation was based on melody and clapping, in the form of present-day qawwālī (which does not include Qurān recitation). Such singing of the Qurʼān is unanimously considered a vice and contrary to the prescribed rules of Qirāʼat. However, the prohibition was due to this wrong innovation. It was not an absolute prohibition from Mawlid sessions that observe the Sharia rules in Qurānic recitation and singing of poetry. To mislead simple folk and to popularize their fake currency, this false sect has opened a new path: (they) slander our masters, and say: so and so wrote this. And even stranger is (the fact) that this sect (Wahhābī) even prohibits the noble mention of the birth and miracles and demise of the Lord of the Prophets, Beloved of Lord of the Worlds, sallAllāhu ʻalayhi waSallam. Some issue fatwā of (it being) makrūh tahrīmi (an undesirable act close to prohibition but not clearly prohibited by the Law), and others apply (the ruling of) bidʻah sayyiʼah (corrupt innovation). However, the virtuous mention of the noble birth and the gentle character and the miracles and the sublime decease and the noble hilya (physical description) of his appreciated excellency and majesty, Beloved of the Lord of the Worlds, Lord of the Prophets and Messengers, sallAllāhu ʻalayhi waSallam, is in fact the mention of the Creator of the Heavens and Earths, and the mention of God is obligatory. Maktūbāt Imām-i Rabbānī, volume 3, Urdu translation by Qāzī ʻĀlimuddīn Naqshbandī, Ziā-ul-Qurān Publications, Lahore, 2004. Athbāt al-Mawlid wal-Qiyām, by Shāh Ahmad Saʻīd Mujaddidī, Urdu translation by Mawlānā Muhammad Rashīd Naqshbandi, Maktabah Mujaddidiyah, 2015. Saʻīd ul-Bayān Fī Mawlid-i Sayyid il-Ins wal-Jān (Urdu), by Shāh Ahmad Saʻīd Mujaddidī, Maktabah Mujaddidiyah, 2015. Tuhfā Zawwāriyā, Urdu translation of the letters of Shāh Ahmad Saʻīd Mujaddidī, translated by Muhammad Zahīruddīn Bhattī, Zawwār Academy Publications, 2011. This entry was posted in Wahhabism and tagged Mawlid, Wahhabism. Bookmark the permalink.